Discover breathable foundation that actually helps your skin heal. Oxygenetix Foundation - Beige contains Ceravitae Complex, a patent-pending formula that is proven to increase oxygen levels, stimulate cell production and promote post-procedure skin healing. The formula is water resistant for up to 90 minutes, transfer resistant and contains SPF 25. It's completely non-irritating to the most sensitive skin types including acne, rosacea, psoriasis and eczema-prone. Beige is a yellow-based (warm) shade for light to medium skin tones. For those with post-procedure or extremely sensitive skin who want complete, breathable coverage that also improves skin healing. 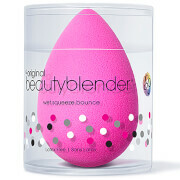 Apply to the skin by blending with a cosmetic sponge. Can be layered for increased coverage. 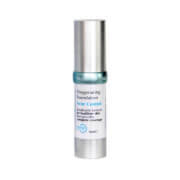 Ceravitae Complex speeds connective tissue reconstruction, systematically builds collagen layers, and reinforces natural skin healing. Every foundation I use seems to make my face break out but this foundation I'm very happy with the result, very good coverage. Highly recommended. This makeup covers so well! A little goes a long way so it took some getting used to how little you actually need. My skin looks fresher and feels great with this make up. It is very light on the skin and I have very sensitive skin. Highly recommend, just wish it was less expensive. I love how Oxygenetics feels on my skin. Smooth, breathable with a hint of dewiness. The coverage is awesome and looks good all day long. I've used it for years and highly recommend this foundation.